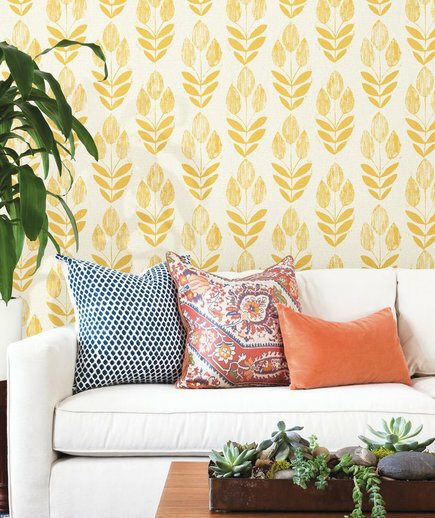 Wallpaper for walls is having a moment, and these wallpaper ideas will convince you to swap paint for paper in your home. It’s been a long time coming, but it’s practically official: Wallpaper for walls is back, and it’s here to stay (at least for a bit). 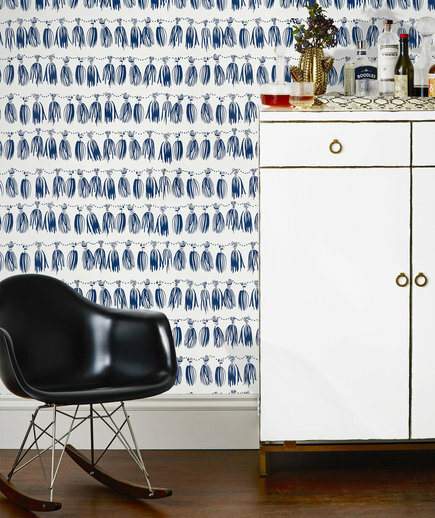 Wallpaper designs have changed a lot since the busy, dark floral prints of the ’80s and ’90s, with modern wallpaper looking more like murals and custom wall art than conventional wallpaper ideas. 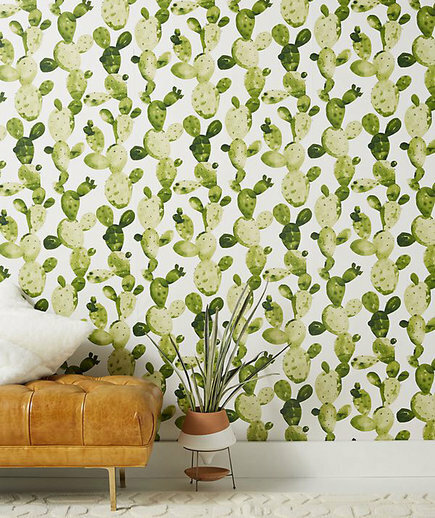 Pinterest users are definitely on-board with the wallpaper for walls trend. 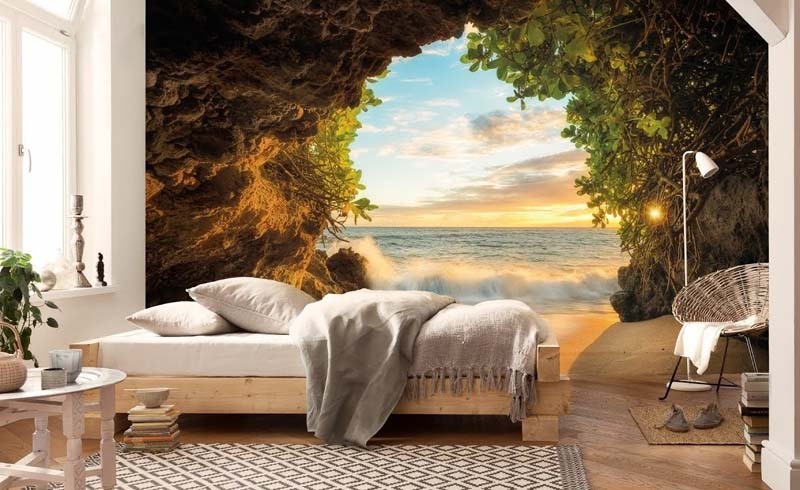 In fact, Pinterest reports a 401 percent increase in searches for bold print wallpaper and predicts tropical leaf prints and bright patterns on stylish wallpaper to be top design trends of 2019. Pinterest also predicts geometric patterns, vintage tin décor (or an approximation of it), and mustard yellow to be big in 2019; home décor bonus points to anyone who combines these trends. Still, bridging the gap between understanding a trend and actually bringing it into a space is easier said than done. Choosing wallpaper can be tricky, and even an abundance of wallpaper tips and tricks can’t make the task as easy as one may hope. The current trends favor large-scale prints, but small-scale prints can still work in moderation—say, as an accent wall, or when paired with complementary wainscoting so it covers only part of a wall. The key is to find a print that household members won’t tire of any time soon and that can work with a range of furnishings. Wallpaper for walls is notoriously difficult to remove, so bringing it home might feel like an even larger commitment than picking a new color scheme. With the rise of removable wallpaper, though, picking a paper isn’t the commitment it once was. Find a print that speaks to you and try it in a small way, like in a wallpaper accent wall, then add to it if the look still works. 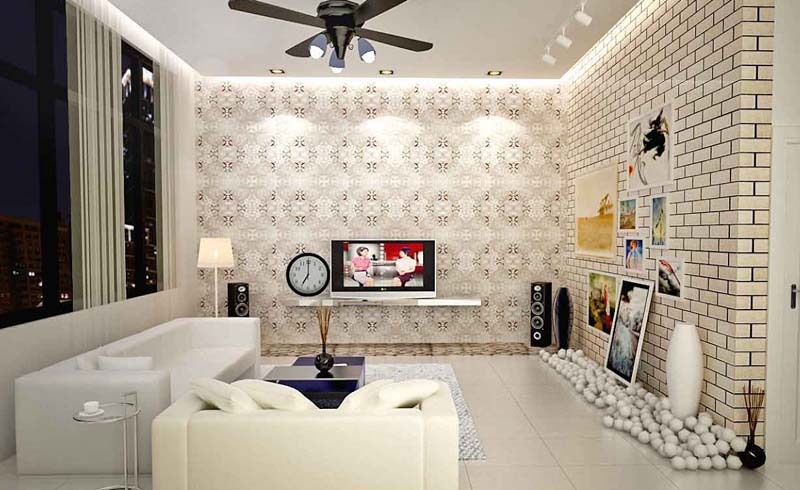 Use these wallpaper ideas to get started, then search for the right wallpaper to suit your home. 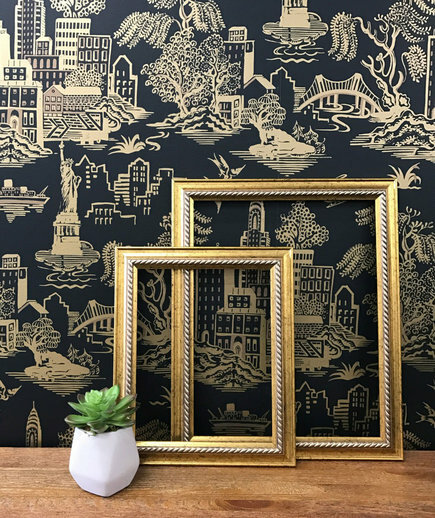 Maximalists will adore this modern wallpaper, which features a supremely cosmopolitan landscape with flashy pops of gold. For best results, pair with toned-down furnishings adorned with plenty of metallic accents. Bright and cheerful, this block-print paper can help any space feel full of natural light. Yellow, though not exactly a neutral, can still be paired with warm and cool colors, so the wall covering can work in a variety of different spaces. 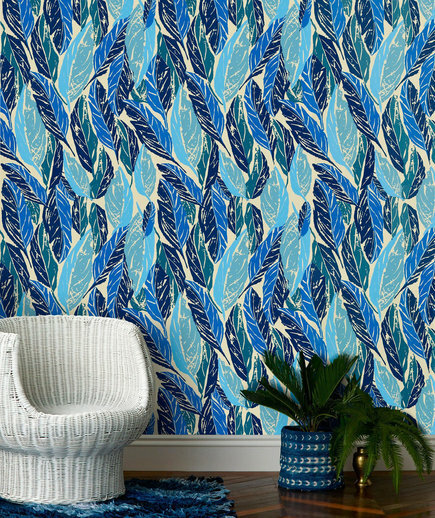 The fluid, bold colors of this leaf-print wallpaper have a slightly psychedelic feel. The wall covering can add moody vibrancy to a dark space, or introduce a splash of color into a lighter one. 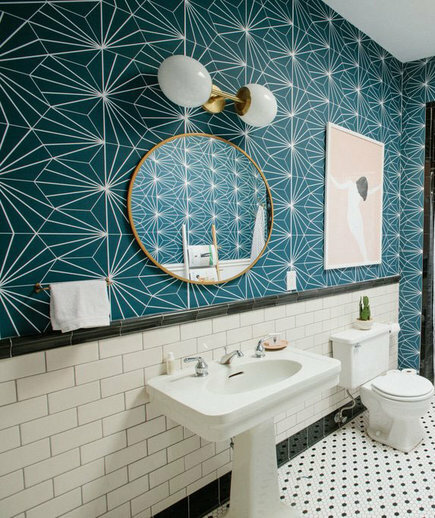 It looks like tile, but this geometric-print wallpaper is pure paper—and it’s completely removable, so swapping out looks or testing a new style is absolutely doable. This uber-playful wallpaper would fit in well in a relaxed, organic space—try a wallpaper like this with natural wood, terracotta, and weathered leather. This geometric wallpaper consists of mostly neutral colors, but the scale of the print is still plenty vibrant. 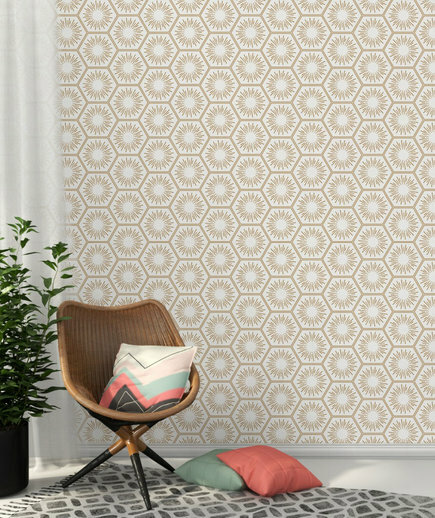 Try a wallpaper like this one in a small room, where it will add plenty of visual variety without feeling overwhelming. This playful wallpaper leans more toward neutral—plenty of white space means it can suit a variety of different styles, and the medium-sized print can work in a small space or a large one. 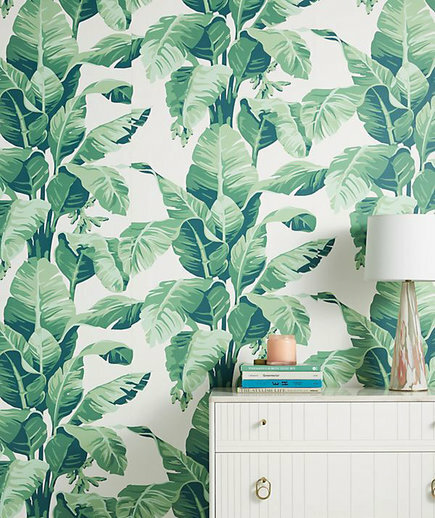 Large-scale prints and indoor greenery are a top trend right now, and this wallpaper combines them both. The frond print is both soothing and tropical, perfect for a room that needs a little life added to it.